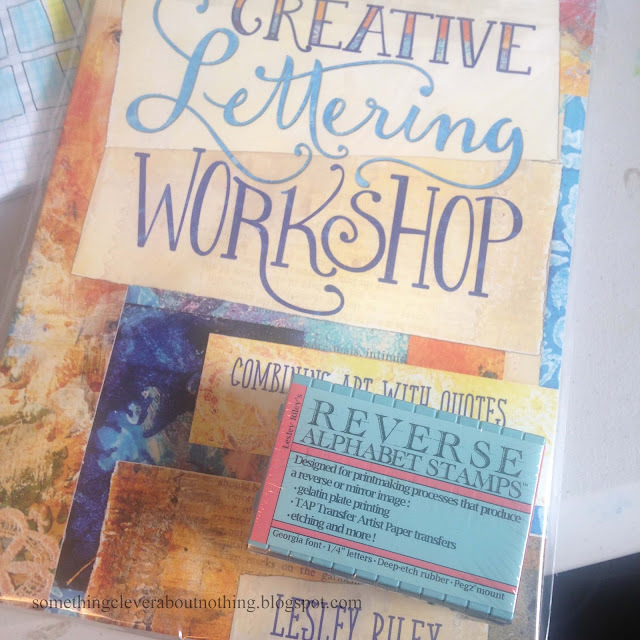 I recently ordered Lesley Riley's book Creative Lettering Workshop, and her Reverse Alphabet Stamps. I desperately needed a play session and so I broke out the stamps, paints and Gelli® plates. These stamps create reverse letters, therefore if they will create backwards letters if used directly on paper, but when used in a transfer situation they come out perfectly forwards. I really like how the individual stamps can connect together. You can put them all together and store them in a big rectangle. I still need to figure out a storage place for mine. 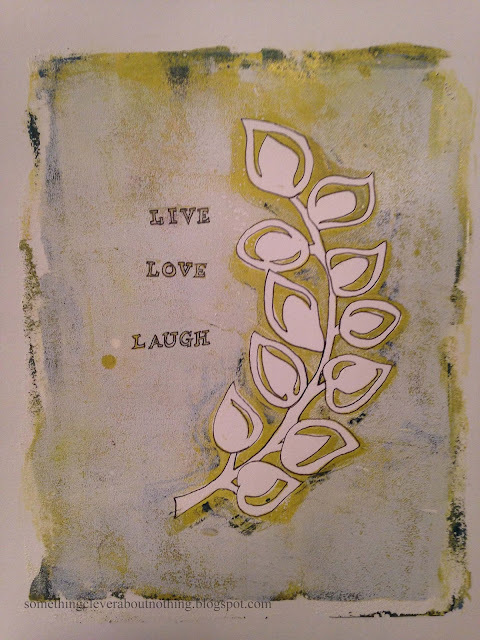 I played around with some cardstock, inks and paints. 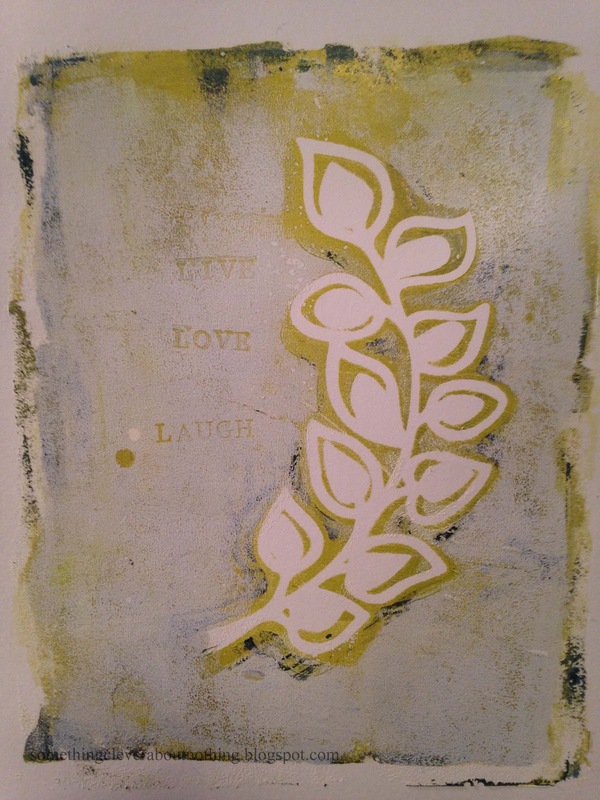 The words on the pieces in the upper right are stenciled on after printing. I went a little crazy stamping about. 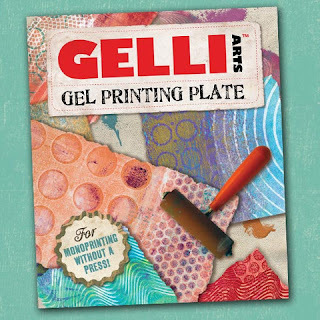 Because the Gelli® plate is soft I tried to be careful with how hard I pressed the letters into the paint. Too soft and the letter was barely there, and too hard and I got an imprint of the box around the letter. I kinda like that look but I know I don't want it all the time. 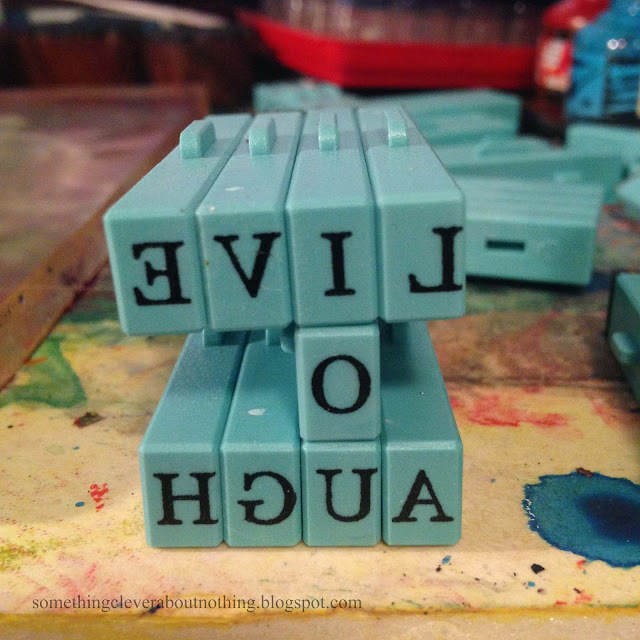 I played with creating individual letters as well as stacks of words. Once I'd played a little I decided I wanted to create a piece that could stand alone. I wanted it to have a saying or phrase or something. I knew that I had a shorter dry time with the thin Golden Fluid Acrylic paint than with the thicker Blick studio acrylic and so I made the decision that the word layer would be created in the slower drying paint. I lined my words up in advance to make it easier to switch letters from one word to the next. 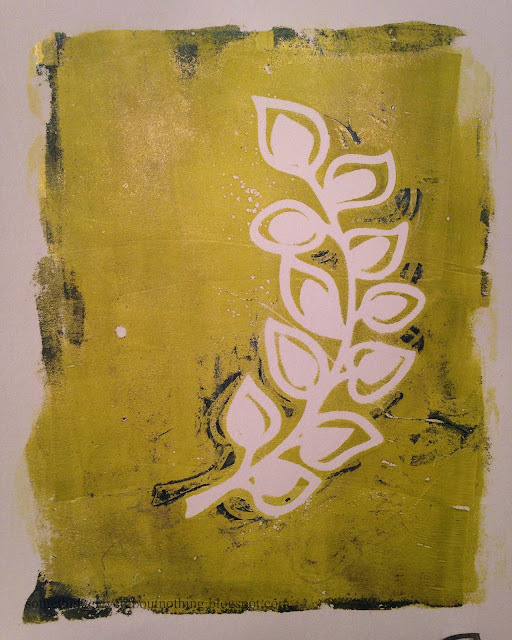 The first layer was created using Green Gold Golden fluids paint and a plastic stencil I made with my Silhouette Portrait. The blue was already on the plate from my last print and I think it added a very nice touch! I probably would have printed another layer if it weren't there. 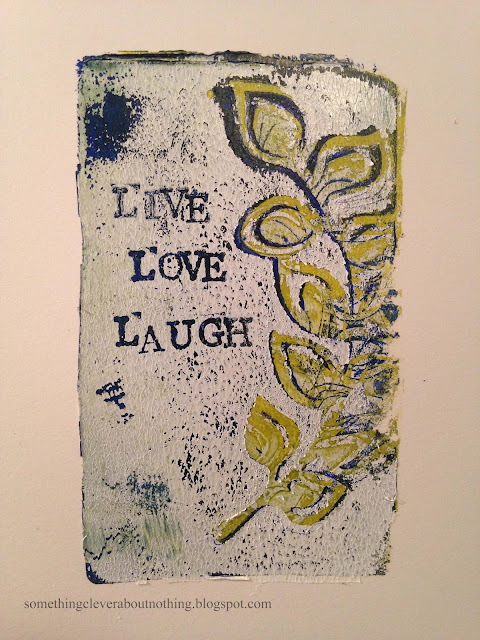 Next I put the Titanium White Blick Studio Acrylic paint on the plate, added the stencil, and carefully stamped in the words before creating the print. The words were hard to see, so I pulled out a Micron pen and outlined the words and leaves. Eh, not a whole lot better. The words just didn't carry the weight I wanted. I decided it was because the letters were so small and the page was so big. 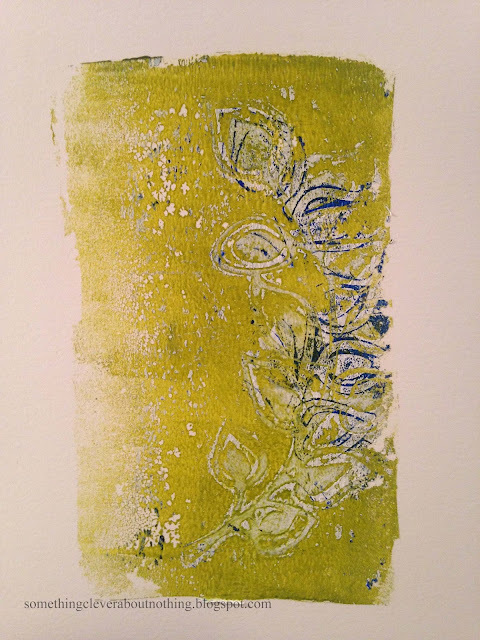 I was printing on an 8x10" Gelli® plate with Canson Bristol in the 9x12" size. 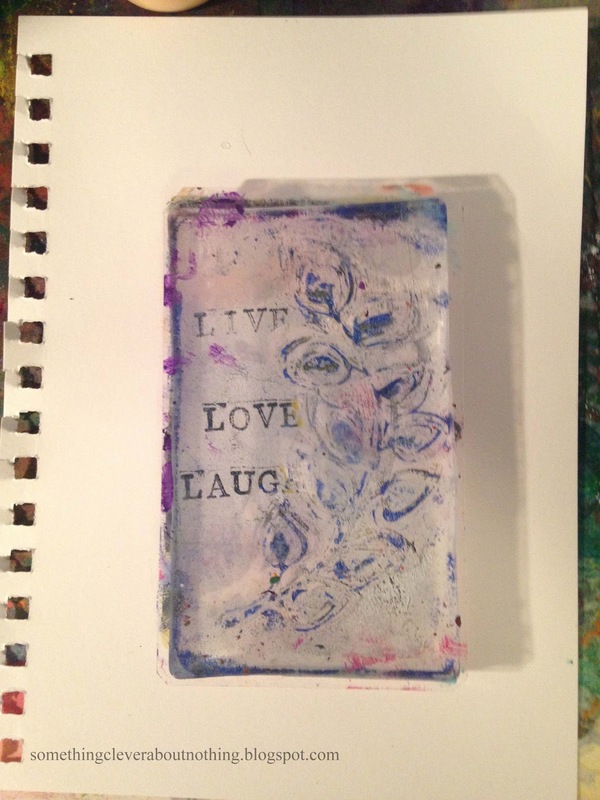 For once, it was time to go SMALLER: 90 lb Strathmore Mixed Media pad in the 5.5x8.5" size with the 3x5" Gelli® plate. 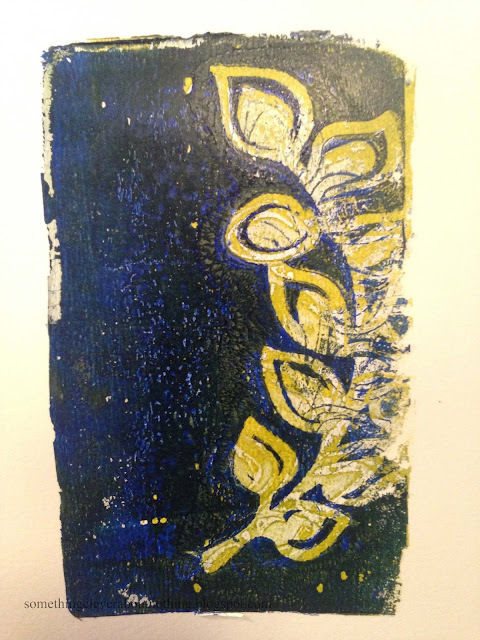 The first layer was the Green Gold, which to me is more gold than green, but it looks nice with the Ultramarine Blue, which I used in the second layer. 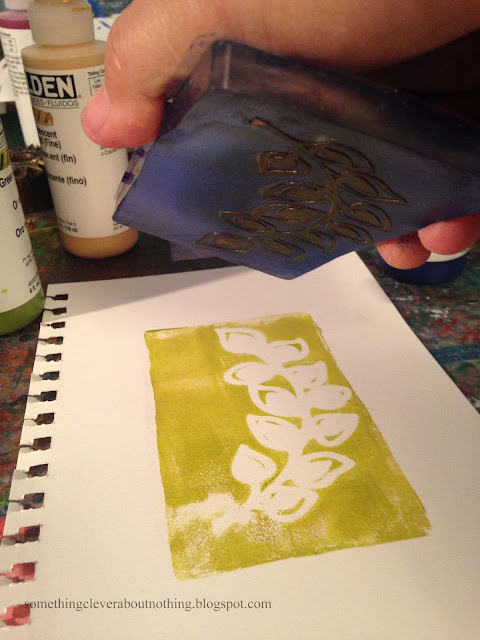 With the small plates it is nice to use them as a stamp. It certainly makes it easier to line up the layers! The third layer was the Blick Titanium white. I thought I had carefully lined up the words, which you can see through the plate when it is turned over, but I accidentally got part of the word on the stencil. Not such a great idea! This one is "Living your Life behind the scenes!" It was a step in the right direction, so on to the next print! 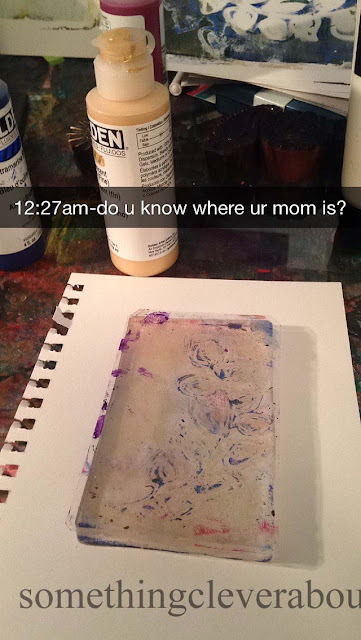 I suddenly noticed the time, and decided to snapchat my children. They all think I'm hilarious. Just let me have my little fantasy, okay? Next print: Green Gold. . . with a little ghosting of Ultramarine blue from the last prints. 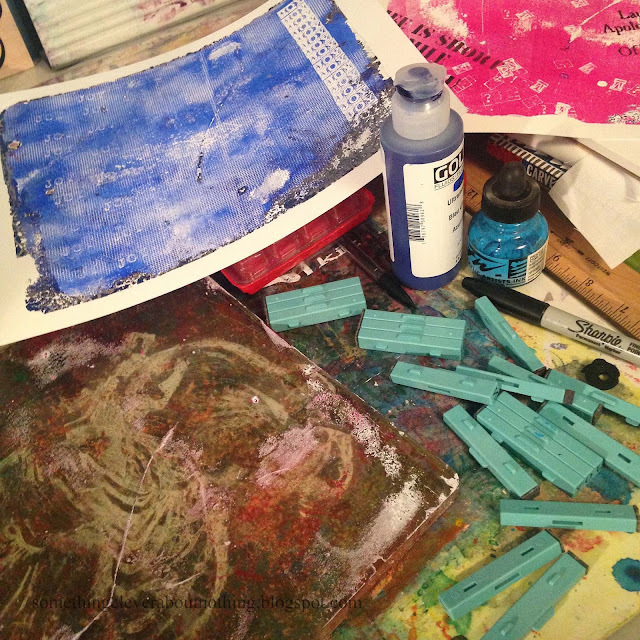 . .
. . .Followed by Ultramarine Blue. . .
. . .followed by Titanium white. . . 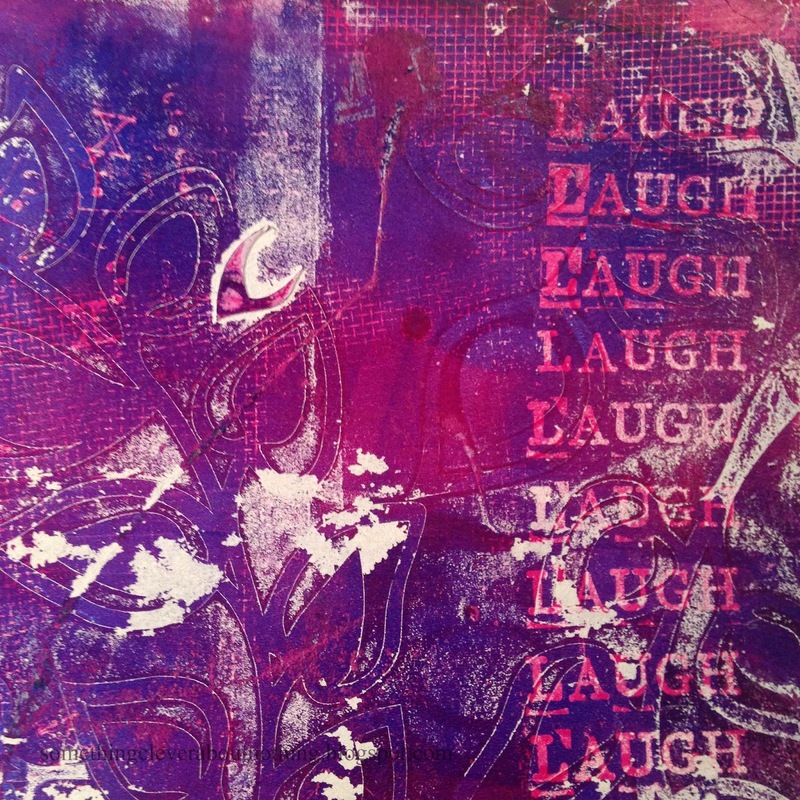 In this last print I didn't stamp the words whole but rather printed the letters individually. I like the wonky look. So overall - I really like the stamps for smaller pieces. I'm sure I could use it on a larger piece if I wanted the words to play a smaller role in the piece or if I used a longer quote. The paint stayed wet long enough that I could have stamped a longer quote but I would have made sure I was prepared with the quote written out in front of me and the letters in order as much as they could be. My only real complaint about the stamps is that they aren't available in a larger size yet!!! 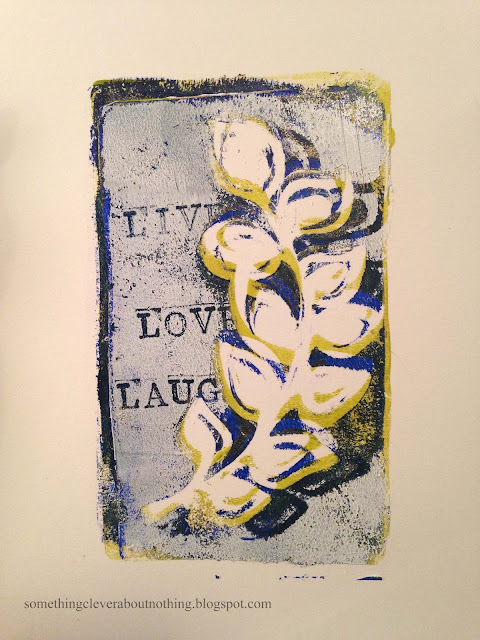 Now I know someone is going to say, "But you can just stamp or write or paint words on top of your prints, why do you need to buy reverse stamps anyway?" This is a very good point. 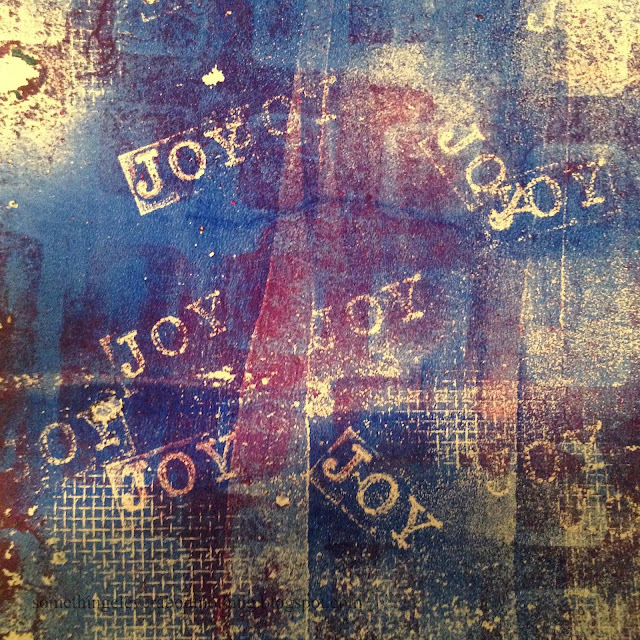 Yes, I could have added the words afterwards BUT by stamping into the paint I am able to reveal the layers underneath! 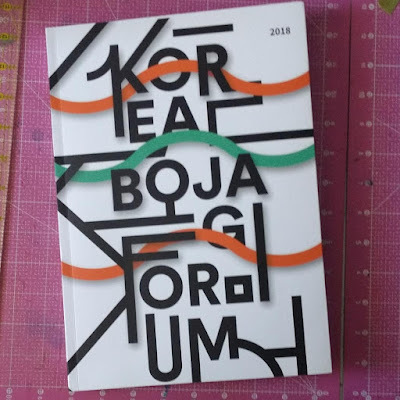 AND if the letters were larger and perhaps a bit thicker font as well, then I would be able to reveal even more of the texture of those previous layers. That is my two cents worth. And by the way - it is an unsolicited opinion, and there are no affiliate links in the post. Now, give me your opinion - What do you think? 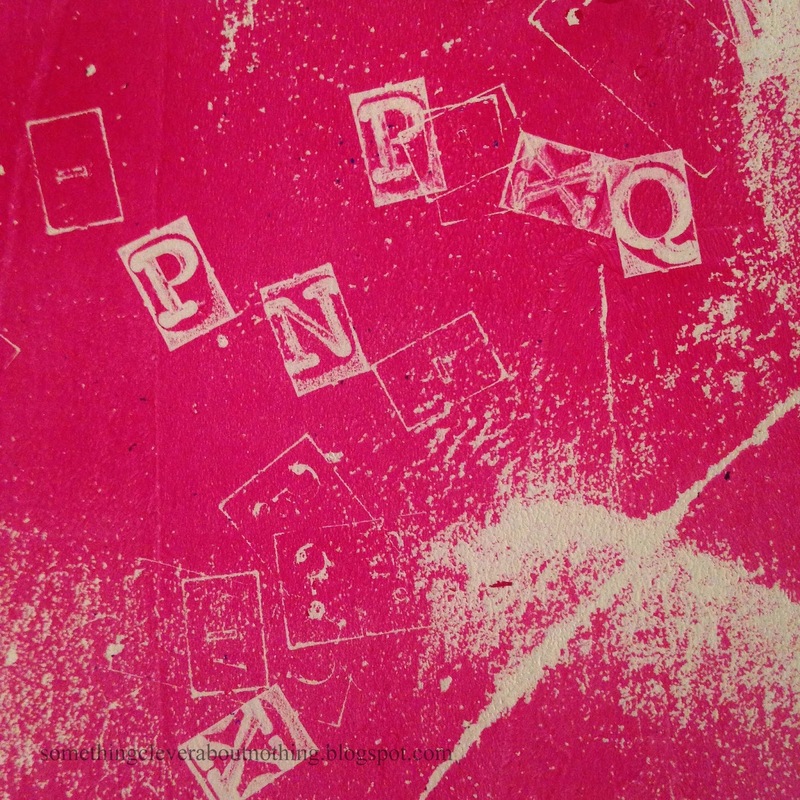 Have you tried these stamps yet? 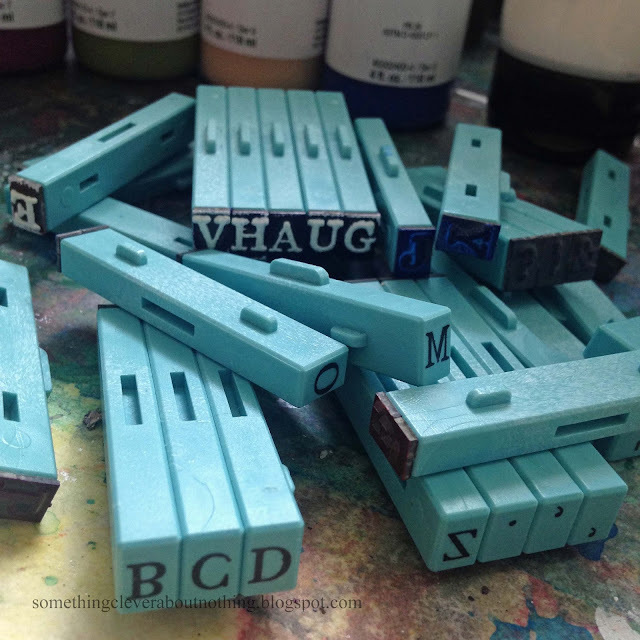 Do you want to try Reverse Alphabet stamps? I look forward to hearing from you! How fun are those? Another thing to add to the wish list. A great experiment Lisa! I need to get a set of the letters... how awesome is it that they can snap together!